 Scott Mingus - Visit his website for more information. 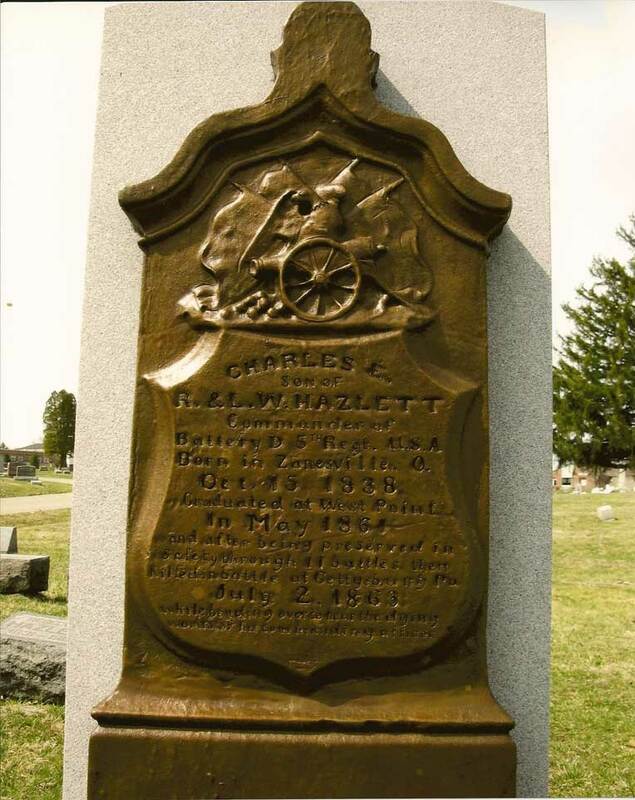 Charles Edward Hazlett: Born Oct. 15, 1838, Newark, OH. 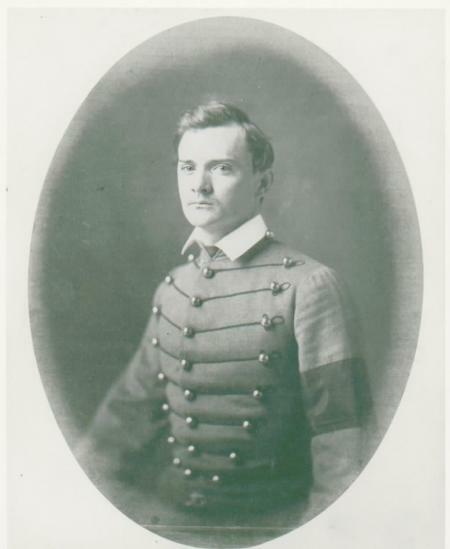 Second Lieut., 2d Cavalry, May 6, 1861. 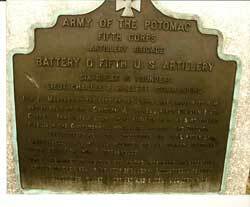 Served during the Rebellion of the Seceding States, 1861‑63: in drilling Volunteers at Washington, D. C., May to July, 1861; in the Manassas Campaign of July, 1861, being engaged in the Battle of Bull Run, July 21, 1861; in the Defenses of Washington, D. C., July, 1861, to Mar., 1862; in the Virginia Peninsular Campaign (Army of the Potomac), Mar. 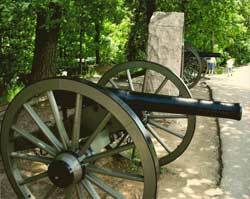 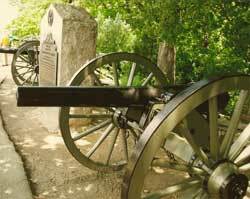 to Aug., 1862, being engaged in the Siege of Yorktown, Apr. 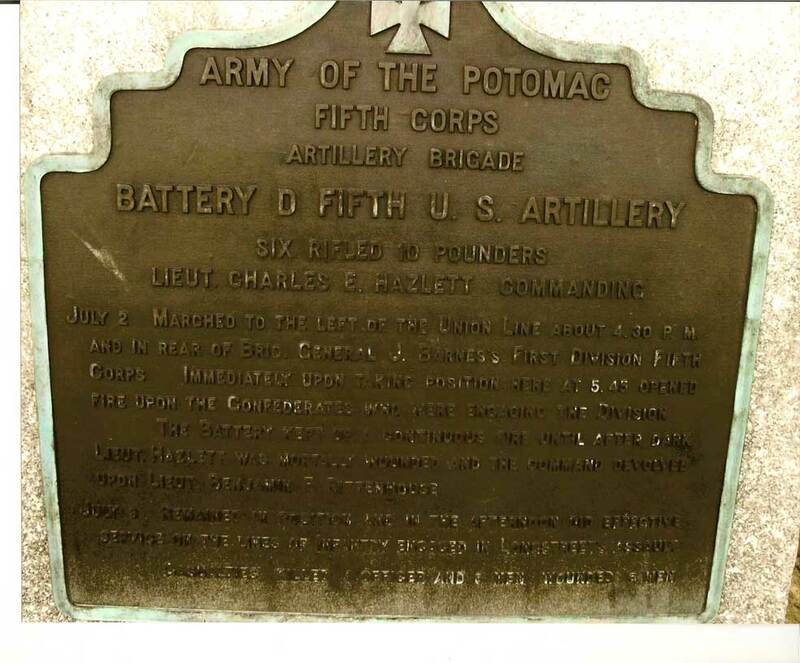 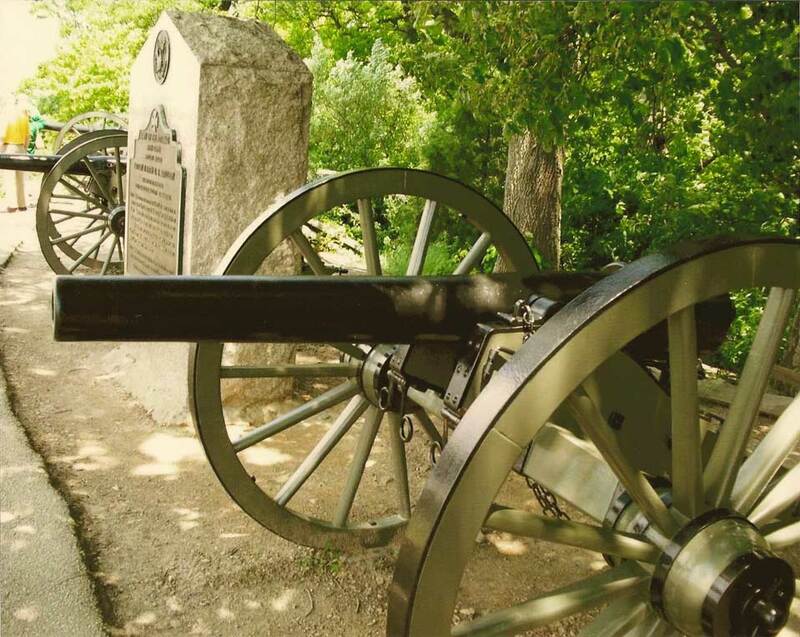 5 to May 4, 1862, — Action of West Point, May 8, 1862, — Battle of Gaines’s Mill, June 27, 1862, — and Battle of Malvern Hill, July 1, 1862; in command of Battery in the Northern Virginia Campaign, Aug. to Sep., 1862; in the Maryland Campaign, commanding Battery (Army of the Potomac), Sep. to Nov., 1862, being engaged in the Battle of Antietam, Sep. 17, 1862, — Skirmish near Sharpsburg, Sep. 19, 1862, — and March to Falmouth, Va, Oct.-Nov., 1862; in the Rappahannock Campaign (Army of the Potomac), Dec., 1862, to June, 1863, being engaged in the Bombardment and Battle of Fredericksburg, Dec. 11‑13, 1862; in command of Battery (Army of the Potomac), in the Pennsylvania Campaign, June-July, 1863, being engaged in the Battle of Gettysburg, July 2, 1863. 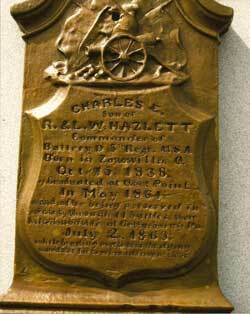 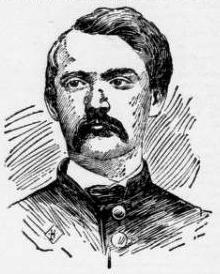 Killed, July 2, 1863, at the Battle of Gettysburg, Pa.: Aged 25. Buried, Woodlawn Cemetery, Zanesville, OH. 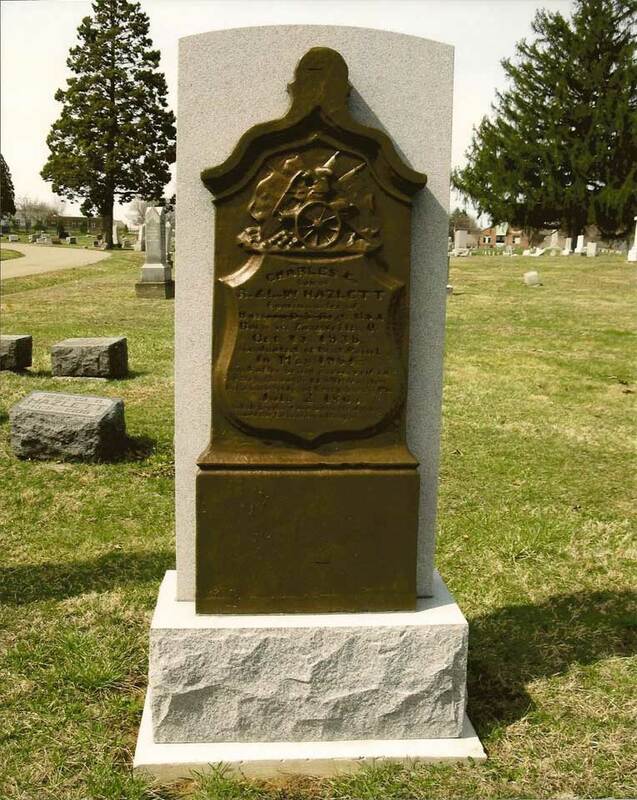 The old headstone had been damaged and broken off, so the Muskingum County Civil War Association, Inc. (a non-profit group) raised money to erect this new monument with a bronze relief of the old stone. 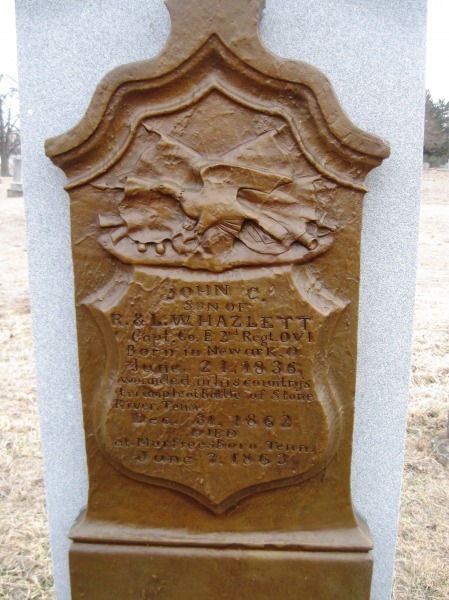 Hazlett’s brother John’s grave is to the left. 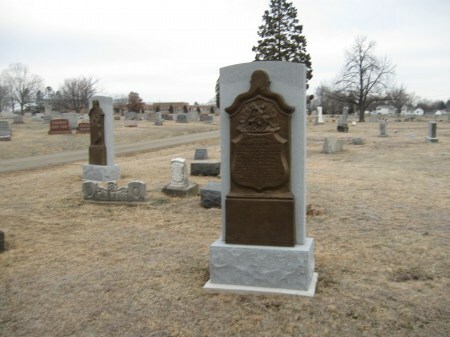 Other family members are also buried in this vicinity. 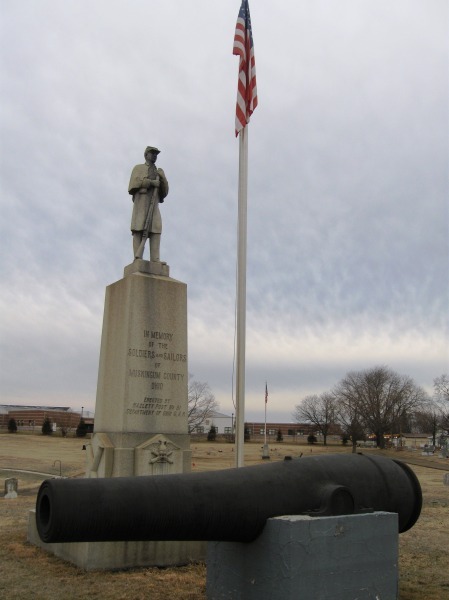 Civil War memorial near the entrance to Woodlawn Cemetery in Zanesville, Ohio.